The project manager of a planned major mixed-use tower in Brickell has sued the developer, claiming breach of contract on a property that has remained vacant more than four years after it was acquired. The project manager, American Da Tang and its CEO, Shanjie Li, are suing CCCC International USA, a subsidiary of Beijing-based China City Construction Holding Group Company. The case was filed in Miami-Dade County Circuit Court. CCCC International paid $74.7 million for the 2.4-acre site at 1420 South Miami Avenue. The property is a block away from Related Group’s SLS Brickell tower and other high-rise developments. China City Construction – the parent company – entered into a contract with American Da Tang, according to the suit. 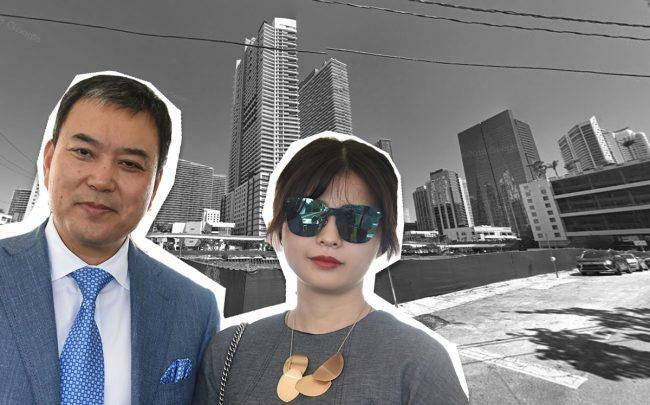 The contract stated that Li would be in charge of China City Construction’s investment projects in the U.S., including the Brickell property, according to the suit. It would be in effect until the Brickell property was completed, the suit claimed. Li says he and American Da Tang — which says it caters to Chinese corporations and individuals — incurred expenses on behalf of CCCC International that have not been reimbursed. That prime piece of Brickell real estate has sat vacant for years, with CCCC International failing to make any effort to develop the property, according to the the lawsuit, which was first reported by The Next Miami. In January, CCCC International filed a notice of commencement to build and repair sidewalks on the property. But the Miami has declared the property an abandoned construction site, and last month filed liens against CCCC International. In a document filed March 1, the city ordered that CCCC International to begin work on the site within 180 days, and obtain a permit to do so within 30 days. In September 2015, CCCC International and its parent company appeared to have high hopes for the property. Roughly nine months after closing on the assemblage, Li organized a meeting hosted by Yu Lian, chairman of China City Construction; and its CEO, Liang Wang, according to a memo attached to the lawsuit. Li brought together a group of Miami real estate players to work on the design, planning and sales of the mixed-use development. They included Walter Defortuna, chairman of Fortune International Realty, Philip Spiegelman, then co-CEO of International Sales Group, Coastal Construction’s Tom Murphy Jr. and Tom C. Murphy. They also included a CCCC International project coordinator and a project leader from American Da Tang. Beini Xu of American Da Tang did not immediately respond to a request for comment. Shan Gao of CCCC International and the company’s attorney, Gavin M. Loughlin of Greenberg Traurig, also did not respond. CCCC International also owns other real estate in Miami, which it has not yet developed. CCCC Miami Beach LLC acquired the property at 6747-6757 Collins Avenue in Miami Beach, and secured approvals for an 18-story tower with 42 residences on the site in 2016.